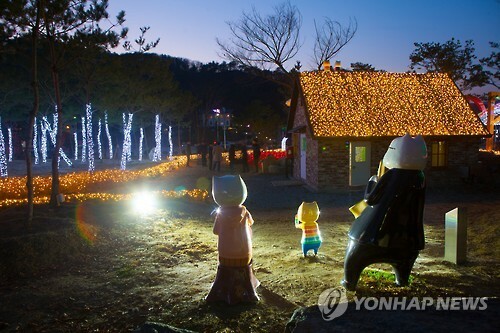 CHUNCHEON, Dec.10 (Korea Bizwire) – A character-themed park has opened near the animation museum in Chuncheon. The park will be open after sundown. To boost the attraction as a tourist spot, especially during the night, various lights were installed to illuminate the characters in and around the park, which the employees of the museum landscaped themselves. 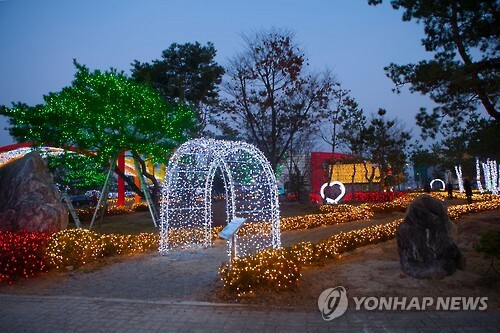 The characters from ‘Cloud Bread’, the animation representing Chuncheon, and sculptures of snowflakes, clouds, stars and hearts were also installed. 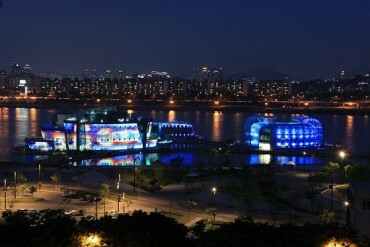 More than 300,000 lights will shine over 2.7 kilometers of walkways. 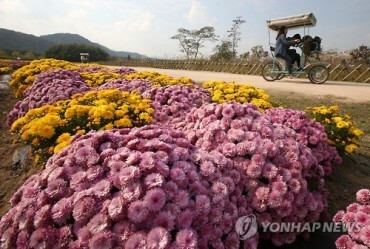 The park will be open all year. 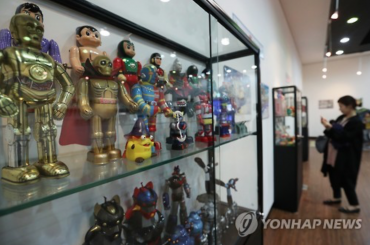 Officials from the animation museum commented that even though the museum became a famous tourist spot since they a robot exhibition was opened, they created the park to lure visitors as they lacked entertainment for people to enjoy during the night.